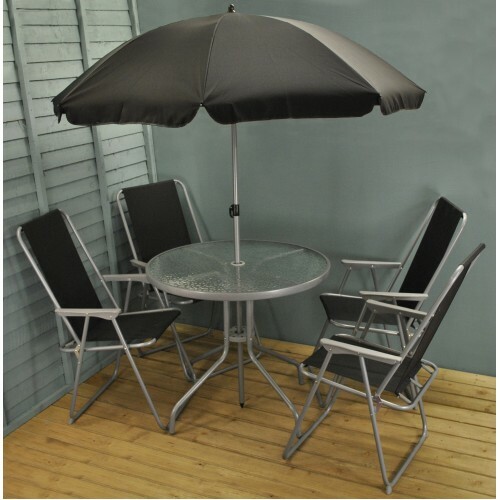 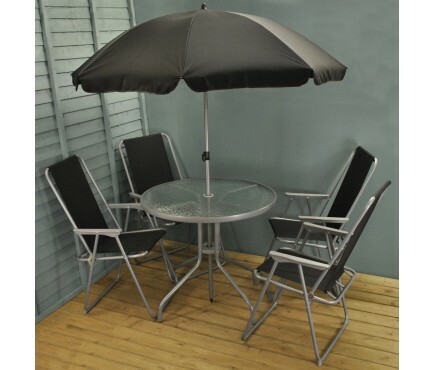 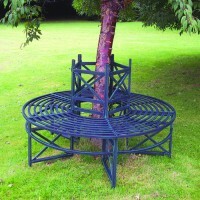 This metal garden furniture set offers seating for 4 around a circular table with a glass top, and comes complete with an easy up parasol. 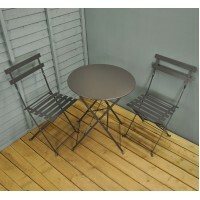 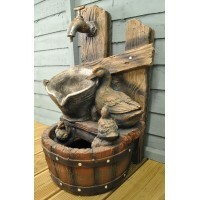 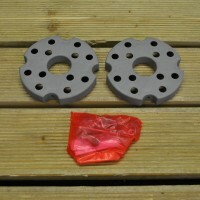 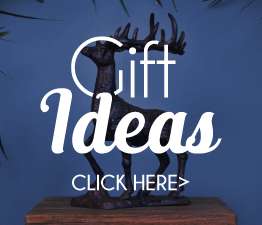 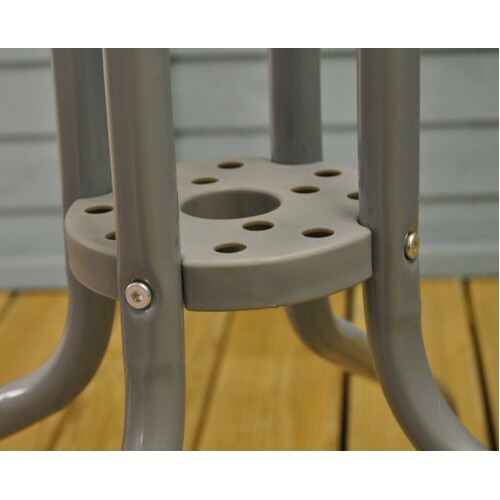 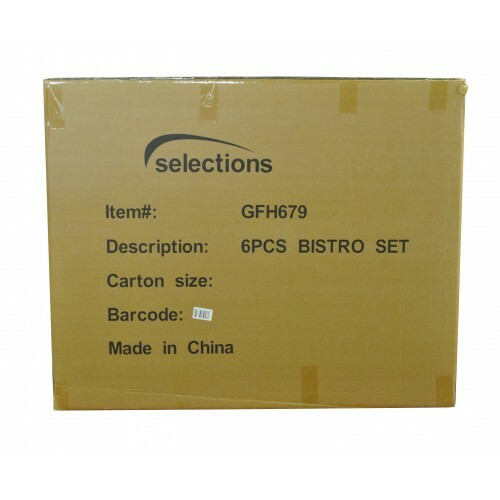 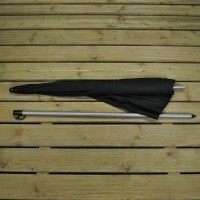 Made from grey powder coated steel, the set is highly specified to offer quality at an affordable price. 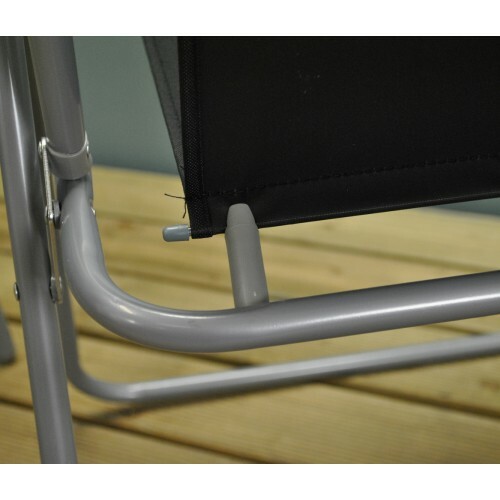 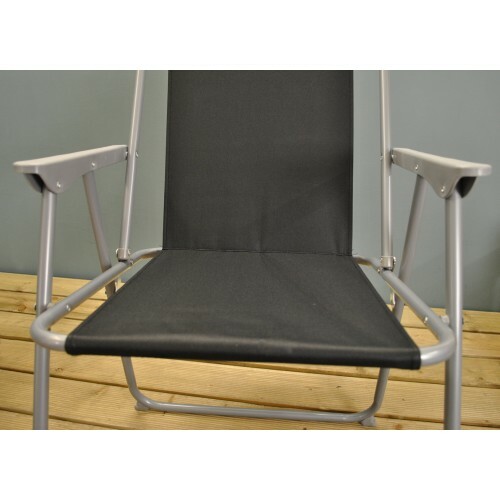 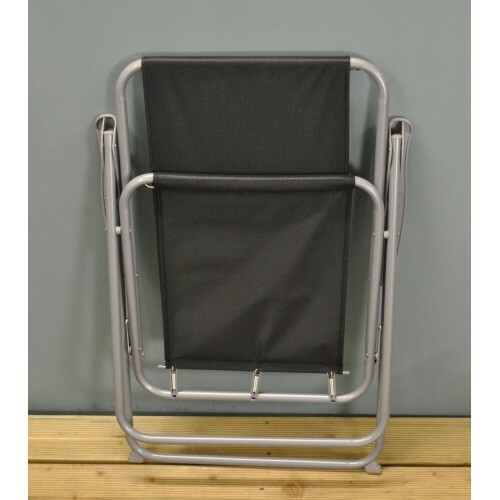 The folding chairs have a waterproof black textoline seat and back which are held in place with 3 strong springs (each with a protective cover) to offer a comfortable sitting experience. 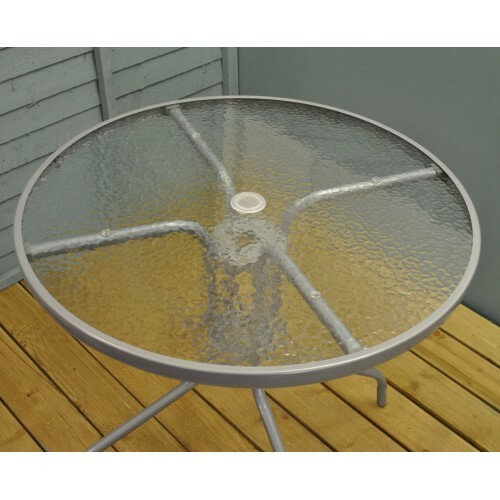 The table top is made from reinforced glass with a hole for the parasol to be supported. 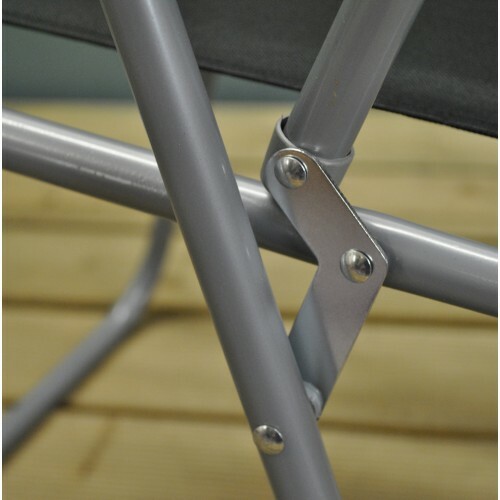 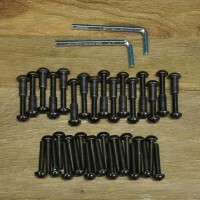 Assembly is straight forward - a case of assembling the 4 legs and tightening with the included allen key.